Which lottery games are plunging in popularity and how can you take advantage of it? Is a $3 Million game still worth playing any longer? New York Lottery winner James Jess thinks so. It's all about the numbers. Mega Millions and US Powerball continue to break records for high jackpot figures. Smaller games are feeling the pinch as players leave the low figure prizes behind. The big-money appeal is attractive for many players. But by how much? For example, when the Powerball jackpot spikes, people in Arizona crowd Rosie’s Den, a lottery store over Hoover Dam. But only when the jackpot starts rising. "It doesn’t even get busy until $100 million,” said general manager Brad Larsen. "$200 million it’s double-row parking; $300 million the news crews are in here." Yet Silver Lotto System evidence shows time and time again that the games with the lowest numbers are the real winners. The chances of winning are always higher than any of the large number games. That doesn't make any difference to the New York Lottery, which has been experiencing a real downturn for years. Sales from their Lotto dropped from $137.5 million in 2005, to a projected $44 million for 2014. The New York Lotto is simply less appealing to the public than the monster jackpots of Powerball and Mega Millions, which are sold around the nation. "With Powerball, the amount is always so much more than Lotto," said Eric Gordon, a Powerball player. "Just a bigger pot and the feeling and the adrenaline that you get from thinking, 'Maybe I can win this!'" Lotto was introduced as a pick-your-own numbers game in 1978, and long lines of Lotto players at delis and convenience stores became a common sight when jackpots swelled. 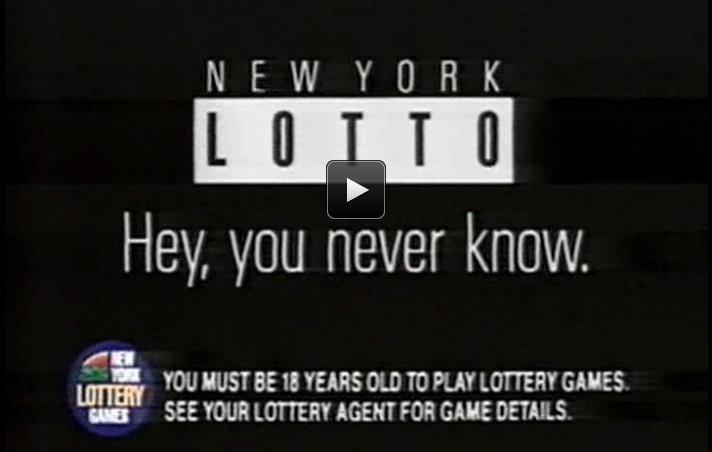 The slogan "Hey, You Never Know" and ad campaign was launched in 1991 to spotlight high jackpots. In 1995, it was New York's No. 1 game as measured by dollars brought in by ticket sales. But the game reached its peak a couple of years later. Lotto now represents only a small slice of the state's lottery revenue. Lotto's decline fits in with a larger trend of gamblers who are choosing bigger jackpots and faster games, said John Warren Kindt, professor emeritus of business and legal policy at the University of Illinois at Urbana-Champaign. "The marketing all shows that the smaller pots are less attractive and slower forms of gambling are less attractive," said Kindt, a lottery expert. So, as a Silver Lotto System player, how should you handle the appeal of the big prizes against what really works? The answer is to continue to play the smaller games... but use the ones with a 3-star rating at LottoPredict. But when the big game jackpots start to rise, take a week off your regular game and try your luck with the larger prize games. The System is geared up for larger games too, but hey, you never know!